Last time I discussed with you all the importance of Data Backup and how is it useful in case of disasters by helping you recover your lost data. Today, I am going to discuss with you all the tools required for the same. I am discussing a few tools each for Data Recovery and Data Backup for Windows and Mac OSX each in brief. Acronis True Image Home provides users with reliable and timeless backup and recovery of their home PC's operating system, applications, settings, and personal files. It automatically creates incremental backups once every five minutes allowing user to roll back their system, files, and folders to any point in time. It has online storage services to automatically back up valuable data or files over the Internet to a secure location. Acronis True Image (or simply True Image) is a brand name for a line of backup and disk imaging software for Microsoft operating systems, produced by Acronis. As disk imaging software, True Image can restore the previously captured image to another disk, replicating the structure and contents to the new disk, also allowing disk cloning and partition resizing, even if the new disk is of different capacity. The backups are in a proprietary and undocumented file format which uses a .tib filename extension. Automatic processes continually update your protection - no need to remember to run backups. Central management makes it easy to stay on top of all the data in your house. Disaster recovery and full disk imaging options allow you to restore your entire system. Fast bit technology updates your backups with bit-level incremental changes. Genie Backup Manager Home: Genie Backup Manager Home backs up your photos, media, email, and personal files and folders in a secure location and recovers your data in an instant. It performs a complete backup of your system (disaster recovery) or simply backs up only your personal data. Norton Ghost: Norton Ghost safeguards your system, settings, applications, and files with flexible, comprehensive backup protection and recovers your system and data when there are system failures. It saves he backups to an FTP site for easier off-site management and even backs up your data to network-attached storage devices. TurboBackup: TurboBackup is used to back up work, synchronising between laptop, netbook, or desktop PCs; scheduling unattended after-hours backup; exporting data to off-site locations to prepare for disaster recovery; archiving personal data to a CD/DVD or memory disk for sharing or storage. NTI Backup Now: NTI backup Now is a backup and restoring solutions for SMB MIS, LAN, SOHO, personal desktops, notebooks, and netbooks. It allows you to backup your complete PC system or specific files and folders that includes your data, applications, photos, videos, music, financial documents, and settings. PowerBackup: It offers three backup methods, full, differential, and incremental to perfectly suit user needs. Full is a complete backup of all files. Differential mode archives changed or new files. Incremental mode archives new files created since last backup. 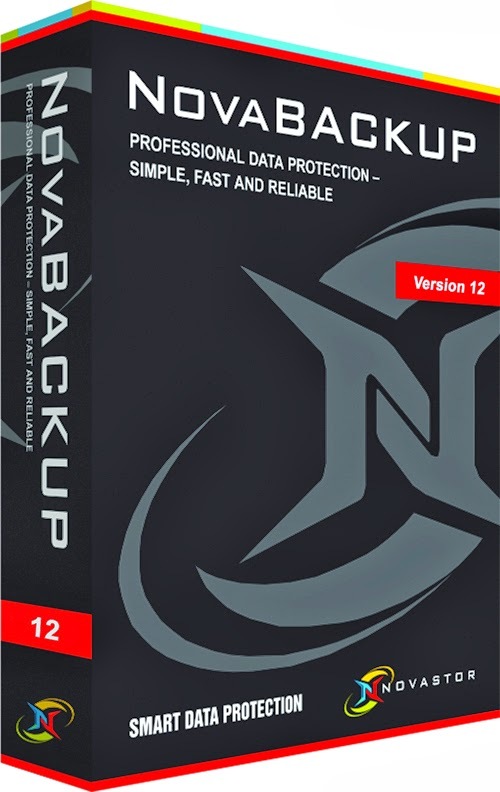 Backup4all: Backup4all is a backup program for Windows that protects your data from partial or total loss. It automates the backup process saving you time, compresses the data to save storage space (using standard zip format) and encrypts your backup to protect from unauthorized usage. 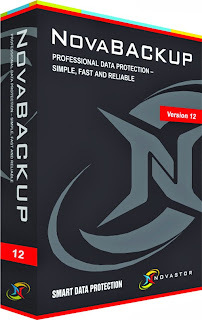 Using Backup4all you can easily back up your data online to Amazon S3 or Microsoft Azure, to any local or network drive, backup to FTP or SFTP, backup to DVD or CD, backup to Blu-ray or other removable media (such as USB HDD or flash drives). Backup4all offers a 30-day free trial, this way you can download, install and use it before deciding to purchase this backup software. BoucneBack Ultimate: BounceBack automatically backs up files that have been changed or newly created on a continous basis. It backs up drive contents and restores single files or folders quickly and easily. OopsBackup: With Oops!Backup you can rest assured that your data is protected every time you make a change - without slowing down your PC. It detects file changes automatically and versions and backs up the files for you. Data Backup is a utility that allows you to backup, restore, and synchronize your valuable data with minimal effort. SmartBackup is a backup utility that creates fast and efficient backups of your data, or a full bootable clone of your system. It can backup to anything that is mountable on your Desktop as well as external hard disks, flash drives, iPods, and any kind of network shares. Synchronize! Pro X: Synchronize! Pro X is a professional-strength file synchronization and backup utility for Mac OSX. iBackup: iBackup is a simple to use backup/restore utility. It backups and restores user data and system and applications settings, e.g. System Preferences, Mail, iPhoto, iTunes, but also 3rd party applications settings, more than 250 plugins for backup application settings are available, which allow you to restore the settings and data of one application or to restore an earlier point in time. Roxio Retrospect: Roxio Retrospect provides individuals with the reliability, ease of use, power, and flexibility they need to protect critical data on their Macs. Features include remote management of one or more backup servers and disk-to-disk-to-tape backups. SuperDuper: It produces fully bootable backups of the newest version OSX. It allows you to copy our Time Machine backups to other disks. Tri-BACKUP: Tri-BACKUP backs up your files and disks, preserves each successive version of your documents, and automatically runs your backup. MimMAC: MimMac is a fast, easy-to-use, and comprehensive backup and cloning utility, designed to make backing up, synchronizing, merging, and cloning your data as painless as possible. With MimMac, there's no need to set up complex scripts, or navigate a bloated interface just to do simple tasks such as running multiple simultaneous operations or excluding items from your backup operation(s) -- everything is ready at hand in MimMac's straight-forward and compact interface. EASEUS Data Recovery Wizard provides a comprehensive data recovery solution for computer users to recover lost due to partition loss or damage, software crash, virus infection, and unexpected shutdown. Recovers office document, photo, image, video, music, email, etc. Advanced Disk Recovery: Advanced Disk Recovery scans the entire system for deleted files and folders and allows the user to recover them. Hard drives, partitions, external devices, and even CDs and DVDs can be scanned for recoverable files using this software. Handy Recovery: Handy Recovery™ is an easy-to-use data recovery software designed to restore files accidentally deleted from hard disks and memory cards. The program can recover files damaged by virus attacks, power failures and software faults or files from deleted and formatted partitions. If some program does not use Recycle Bin when deleting files, Handy Recovery can restore such files. It can also recover files moved to Recycle Bin after it has been emptied. R-Studio: R-Studio is a family of powerful and cost-effective undelete and data recovery software. Empowered by the new unique data recovery technologies, it is the most comprehensive data recovery solution for recovery files from NTFS, NTFS5, ReFS, FAT12/16/32, exFAT, HFS/HFS+ (Macintosh), Little and Big Endian variants of UFS1/UFS2 (FreeBSD/OpenBSD/NetBSD/Solaris) and Ext2/Ext3/Ext4 FS (Linux) partitions. It also uses raw file recovery (scan for known file types) for heavily damaged or unknown file systems. It functions on local and network disks, even if such partitions are formatted, damaged or deleted. Flexible parameter settings give you absolute control over data recovery. VirtualLab Data Recovery: Regardless of the reason for data loss, accidental format, damaged partition, virus attack, deleted files, even a formatted hard drive, VirtualLab Data Recovery software does the job! VirtualLab is incredibly easy to use, yet so powerful and robust that it is used daily by data recovery companies world-wide. Works with all Windows operating systems, from Windows 98 to Windows 8, FAT 12/16/32 and NTFS file-systems. Forget having to use different software versions for different recoveries, VirtualLab does it all in one! File Scavenger: File Scavenger® is a file "undelete" and data recovery utility for Windows® 8, 7, Vista, Server 2003, XP and 2000. 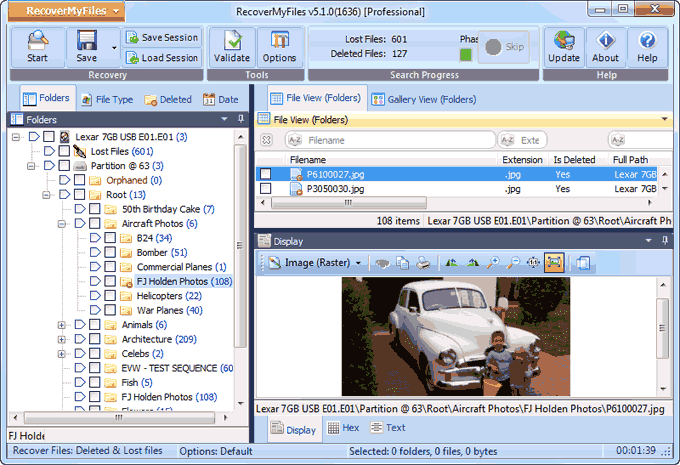 File Scavenger® can recover files that have been accidentally deleted (including files removed from the Recycle Bin, in a DOS window, from a network drive, from Windows Explorer with the SHIFT key held down) provided that recovery is attempted before the files are permanently overwritten by new data. File Scavenger® supports both basic and dynamic disks, NTFS compression, alternate data streams, sparse files, Unicode filenames, etc. Except in severe cases, both the file and the folder path leading to the file can be recovered. File Scavenger® can also recover files from a reformatted or corrupted volume even when the volume has been deleted and its original position and size are unknown. File Scavenger® can scan an entire physical hard drive to look for traces of defunct volumes. File Scavenger® uses advanced algorithms to handle disks with bad sectors and badly corrupted partitions. It can be installed on a hard drive or run from a portable storage device such as a memory card, removable drive, or CD. 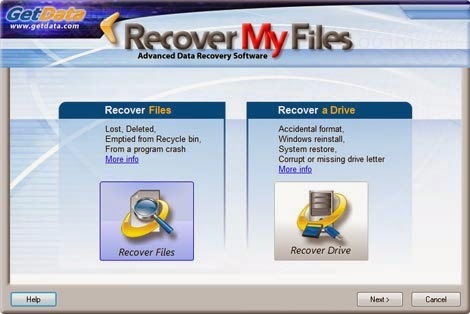 To run File Scavenger®, you must log on as a system administrator to the computer where data recovery is intended. Files can only be restored if the disk areas allocated to the files have not been overwritten by new data. All recovered files should be validated for the integrity of the recovered data. 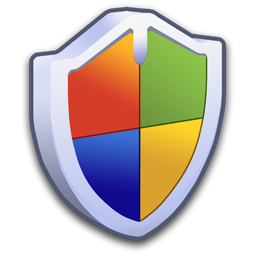 Disk Doctor's Windows Data Recovery Software: Windows Data Recovery Software can recover data from any logical crash or cause for data loss on Windows. This data recovery software combines our TurboScan™ and File Tracer™ technology to recover data from even the most severely corrupted hard drives. Boomerang Data Recovery Software for Mac OSX recovers accidentally deleted files, folder, document, lost or damaged partitions, RAID volumes, camera/flash cards, etc. VirtualLab is non-destructive data recovery software that recovers deleted files, damaged, or missing volumes, formatted disks, iPods, and even photos. It performs and exhaustive scan of the drive to locate lost partitions and files. DiskWarrior: DiskWarrior is a utility to eliminate directory damage and recover your files, folders, documents, and data from failing hard drive. AppleXSoft File Recovery for Mac: recovers Mac data from deleted, corrupted, formatted partitions and from crashed drives where Mac based file system are installed. Disk Doctor's Mac Recovery: Disk Doctors Mac Data Recovery software recovers lost and deleted data from HFS+, HFSX file systems on Mac OS X.
R-Studio for Mac: R-Studio for Mac is specially designed for the Mac OS environment. It recovers files from HFS/HFS+ (Macintosh), FAT/NTFS/ReFS (Windows), UFS1/UFS2 (FreeBSD/OpenBSD/NetBSD/Solaris) and Ext2/Ext3/Ext4 FS (Linux) partitions. In addition, raw file recovery (scan for known file types) can be used for heavily damaged or unknown file systems. R-Studio for Mac also recovers data on disks, even if their partitions are formatted, damaged or deleted. Flexible parameter settings give you absolute control over data recovery. Data Rescue: Data Rescue recovers files from a problematic hard drive or that have been previously deleted. Stellar Phoenix Mac Data Recovery: Mac Data Recovery software to reclaim files, documents, images, music, movies lost or deleted from any HFS, HFS+, FAT, ExFAT and NTFS file system based storage media. FileSalvage: FileSalvage™ is an extremely powerful Macintosh application for exploring and recovering deleted files from a drive or volume. FileSalvage is designed to restore files that have been accidentally deleted, become unreadable due to media faults, or have been stored on a drive before it was re-initialized/formatted. TechTool Pro: TechTool Pro is a full-featured utility program that contains options for testing and repair, maintenance (including disk defragmentation), and data recovery for Mac OS. I hope you find all the relevant information and tips I discussed with you all today. I hope these small and not so small things help you keep your PC working great :) For any queries or suggestions please feel free to comment here. Hi! I have read your blog and i really inspired from your blog.Thanks for the sharing this such information. Nice article i would like to share each and every useful links and videos too. Best advice for databackup and computer maintenance tips. Well written post. I appreciate your guidance for sharing about Disaster recovery . I really need to know about it. Great work!